Wow. 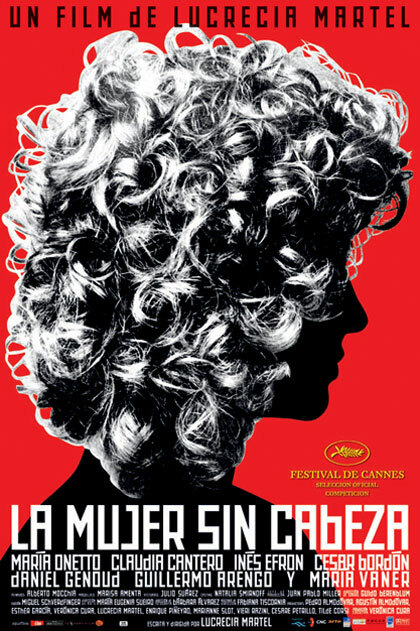 See this film: “The Headless Woman,” or “La mujer sin cabeza,” a 2009 Argentinian film by director Lucrecia Martel. My best analogy is that it’s a modern-day The Yellow Wallpaper, Charlotte Perkins Gilman’s canonic 19th-century story of a woman suffering from “nervous depression” and driven to madness by the “resting cure,” which prescribed that she remain in a room, stripped of responsibilities as a means of restoring her to health. 21st-century women may have pharmaceutical solutions for depression, but as “The Headless Woman” shows, they too are insulated in ways that might prompt the same kind of madness. 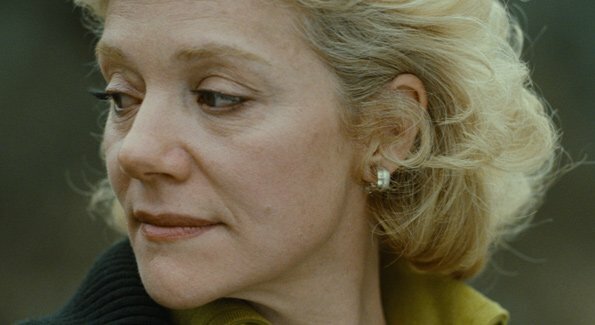 The film is concerned with Veró (María Onetto), the wealthy, pampered, middle-aged woman enmeshed in family, work, and home — until one day, as she drive home and is momentarily distracted by her cell phone, she hits something. The camera pauses on her for a long time, watching her recover; when she finally pulls away, we see a dog dead on the road. But there are now two ghostly little handprints on her driver’s side window. Is a dog all she hit? Though we don’t know what happened, we quickly realize that Veró is deeply affected by this event (does she have amnesia? a traumatic repression of the events? a dangerous concussion? ), yet no one else notices. With her blonde dye job and bland half-smile always plastered on, she can’t even go through the motions of her life — so it’s lucky she’s surrounded by servants, her husband, and her relatives, all of whom fail to register that anything’s wrong. As we see everything through her eyes, we are as disoriented as she is. Who is this man in the house — her husband or someone else? Why is she here at the dentist’s office? Every time she appears mildly bewildered, one of the many servants or men steps up to take things out of her hands, shepherd her to her next appointment, remove responsibility from her. By the time she hesitatingly tells her husband that she fears she hit someone, he assures her that it can’t be true. “It was just a scare,” he says patronizingly, unconvincingly. With that apologetic little smile on her face, does she agree? Or simply acquiesce? In the meantime, she has nothing to do — her languid movements are only prompted by the random doorbell, a phone call, or the need to move out of someone’s way. Cared for by an endless stream of working-class employees and paternalistic men, her life has little meaning or direction — so how can she bear responsibility? I can’t believe this film didn’t get more attention, that it wasn’t nominated for an Academy Award. It’s a haunting, unsettling statement about the lives of women in a safely cushioned world, where madness lurks.